As we settle into the new year, we find ourselves reflecting on the state of corporate pro bono, the exciting ways in which the field has evolved over the last year, and what's ahead in 2019. 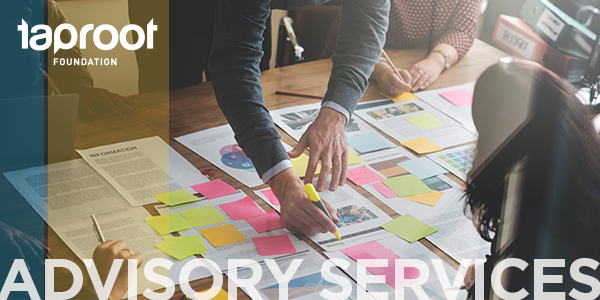 Taproot's Advisory Services team recently conducted an inaugural study of companies doing pro bono as a way to understand industry-wide trends and share out key observations. In addition to helping you see how your company ‘stacks up’ to others doing pro bono, we hope this data helps you to think critically about how to leverage pro bono for your people, your company, and your social impact partners. Click below for the full report, and hear from Taproot team members about other trends we expect to continue in 2019.